It’s only Wednesday but it feels like a lot is going on in the points and miles world this week. Here is a quick summary of some items I haven’t blogged about yet. 1. 50,000 SkyMiles Offer on the Delta Gold American Express – With the new rules from American Express limiting a signup bonus to only once a lifetime for each personal card, it makes sense to only apply for a card now from American Express when the offer is at its peak. Currently, for one week only, the Delta Gold Amex (and the business card as well) is increased to a 50,000 mile offer if you spend $1,000 in 3 months. If you are short on Delta miles or have a bunch of Delta flights upcoming in the next year and you want to avoid the checked bags fees, this card could make sense to get now when the offer is the highest. And with Delta introducing one ways awards starting 1/1, I’m hoping Delta miles get a bit easier to you though I’m not holding my breath on that. Here is the link to the personal card. Here is the link to the business card. 2. Free Gogo Internet for American Express Business Platinum Holders – Earlier this year, American Express added Boingo internet as a new benefit for personal Platinum cardholders and now they are following suit on the Business Platinum card by offering 10 Free Gogo internet passes annually. Gogo all day passes cost $16 so this benefit could be worth $160 annually if you fly enough. Just remember that Gogo is only on certain airlines including Air Canada, Alaska, American, Delta, United, US Airways & Virgin America (along with a few others). 3. New IHG Promotion “Set Your Sights” – IHG has been on a roll with unique, targeted promotions that have some real value to them if you are able to meet the stay requirements. They just announced their newest promotion, “Set Your Sights” in which each member has a list of requirements to meet to earn potentially 50,000+ points. My offer is below which I don’t think is all that great since it requires 5 nights minimum. I’ve seen offers where only 3 nights could meet all the criteria for the bonus points. Make sure to check out your offer and register for the promotion as it could be lucrative if it meets your travel plans. 4. IHG Buys Kimpton Hotels – In a potentially exciting move for IHG members, IHG has announced it has purchased the Kimpton boutique brand of hotels for $430 million dollars and will incorporate them under the IHG company. This is exciting because IHG members will eventually have the option to redeem points or the annual free night from the IHG credit card on Kimpton properties. Kimpton has 62 hotels, all in the US, but they are known for the uniqueness and willingness to provide great customer service. They have some great locations with exciting hotels including NYC, Aspen, and San Francisco. I stayed in one in Phoenix for the #westcoastDO and had a nice stay while I was treated great as a top-tier Inner Circle member. My hope is the match top tier Inner Circle member to Ambassador status with IHG but it is too soon to tell how that will shake out. Intercontinental Hotels Group (IHG) is offering new customers 2,000 FREE IHG points for signing up for an IHG Rewards Club account. IHG Rewards Club is the loyalty program affiliated with IHG hotels which includes brands like Intercontinental, Holiday Inn, Holiday Inn Express, Crowne Plaza, Hotel Indigo and more. This promotion expires on December 7th, 2014. 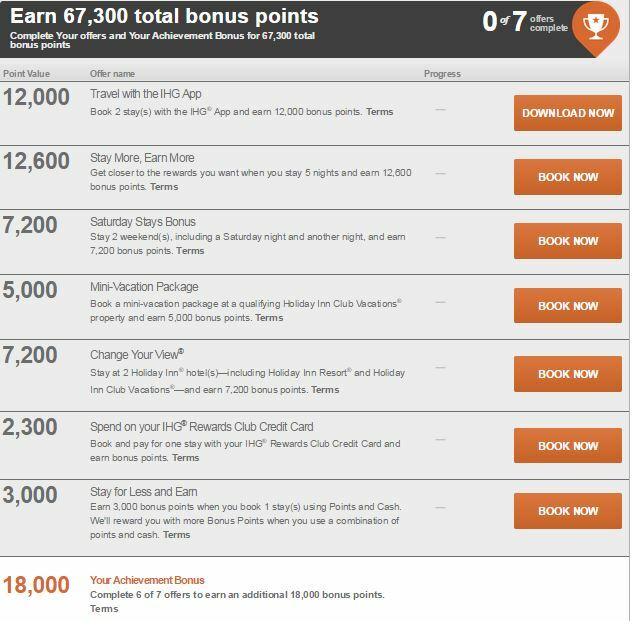 I advised that as part of Points & Miles 101 you should signup for all the major airline and hotel programs loyalty accounts so if you haven’t already signed up for an IHG account, this is the best time to signup since it is somewhat rare to see bonus points offered for creating an IHG account. With hotel redemption starting at 5,000 points (via PointsBreaks), simply signing up for IHG under this promotion gets you 40% of the points necessary for a free room. This is easily worth the minute or two it takes to signup for this account. Let’s take a quick look at the some of the big things going on in the points & miles world this week. 1) New IHG Promotion And Why You Should Care – Every quarter or so, most hotel chains release a new promotion which generally range from sucky to OK but the recently announced “Into The Nights” by IHG has potential to be one of the best hotel promotions in recent memory. The offer is slightly different for each member but generally others have indicated that 2-3 nights stayed at IHG hotels from now to December 31st could result in 2 Free nights anywhere in the world with IHG. The obvious hack here is to stay at two really cheap hotels and redeem them at high end hotels. The above is my offer for the promo. I only need to complete 4 of the 5 offers for 2 Free Nights anywhere. Looking closely at it, if I can simply stay at 2 different Holiday Inns, I can complete this promo by staying only 2 nights. Holiday Inns are everywhere and can be cheap, so if I could find 2 Holiday Inns at $100/night, I could get 2 Free Nights certificates for $100 each and then I could redeem them at InterContinental Hotels that range from $300-$700 a night! Check out this post from Travel Summary for more analysis. 2) American Express Gift Cards No Longer Eligible for Cash Back via Shopping Portals – I haven’t written about this yet on the blog but a popular way to meet the minimum spending requirement on a credit card to unlock a large signup bonus is to purchase American Express Gift Cards via shopping portals. You would actually earn a small profit while meeting the spend requirement but recently all the portals stopped paying any cashback for these gift cards. In the past, if a portal paid 2% back you would earn $20 cashback but pay $12.90 in fees for a $1,000 Amex gift card. Then you simply use that card to pay for your normal expenses (or liquidate it if you are more advanced) going forward. In a pinch, if I had no other way to meet the minimum spend on a card, I would consider still buying a gift card but I’d hold off until the portals start paying again for the gift cards. 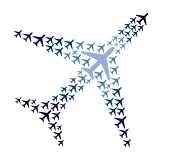 Roundup of Four Offers for Free Points & Miles! This has been a good week for free points and miles as several deals appeared this week. I’ll give a brief rundown of each. 1) Create a Southwest Frequent Flyer Account and Earn 750 Miles! Hopefully most of you followed my advice previously and created your frequent flyer accounts already but if not, Southwest is offering 750 miles for signing up for an account. I have a referral link I can send you directly to signup in which you will receive the 750 miles and I will receive 500 miles for referring you. Please contact me if you’d like me to refer you! 2) 500 United Miles – United has a dining program in which you can earn 500 miles just for signing up! I’ll go more in-depth on airline dining programs in another post but basically you link your frequent flyer number and credit card and if you go out to eat at a participating restaurant, you get extra miles! Once you signup and link a credit card, there is no extra work – just pay with that credit card at the restaurant! 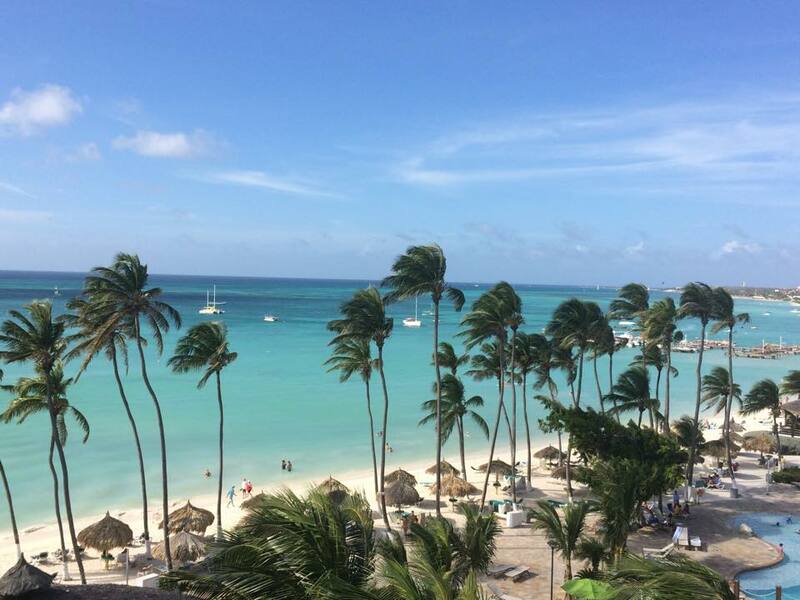 3) 2,000 Marriott Points Per Month via Social Media. Marriott just launched a new program called “Plus Points” in which members can earn up to 2,000 Rewards Points per 30 days for participating in specific social media tasks on Facebook, Twitter, Instagram and Foursquare. This includes liking hotels on Facebook, tweeting certain hashtags and more. The Points Guy has a good rundown of the info here. If you did this for a few minutes each month, you could potentially earn 24,000 points a year which is a free hotel room up to category 5! Free hotel room for playing around on social media! 4) 500 IHG Points! The hotel program for Intercontinental, Holiday Inns and more is offering 500 free points for taking 3 really short quizzes (seriously it takes 20 seconds each). Here are the links to the quizzes (below just click the quiz) and here is a separate link to the answers (c’mon how easy can this get). Now of course none of these deals alone will get you enough miles for a free trip but every little bit helps. You never know when you might be 500 or 1,000 points short. Remember the points and miles game is a marathon, not a sprint and every little bit helps.